weight reduction and energy saving of up to 50% over other robots in the series. 0.2kg?m2 and high portability of up to 10kg. From small size to large size of 180mm to 1200mm, wide protection and application ranges are available. 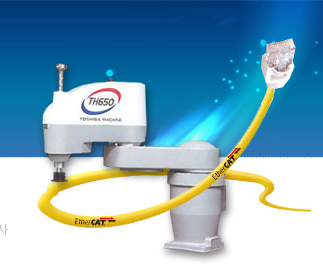 The TH series also support various options cleanroom design, IP65, and ceiling-mount type. No Fatigue even from 24-Hour, High-Cycle Operation!